Three days until Outlander returns!!! And it’s New York premiere day!!! GAHHHH!!! With the end of Droughtlander near, I’ve been thinking a lot about Jamie Fraser, which is really out of the ordinary for me, because I almost never think about Jamie Fraser. Okay. I can’t even type that with a straight face. I’ve gone on and on in this blog about how much I love JAMMF, and how I’d like to make him the Literary Hunk of every month, but I don’t know if I’ve ever captured just what makes Jamie so—well, Jamie-esque. I don’t think anyone is capable of really capturing that except for Himself—or, more accurately, Herself, Diana Gabaldon, the woman who created the Scot we all swoon over. Below are my ten very favorite things Jamie Fraser has ever said. I know that this list is hardly comprehensive, because everything that comes out of this man’s mouth is perfection, but these hold a special place in my heart. 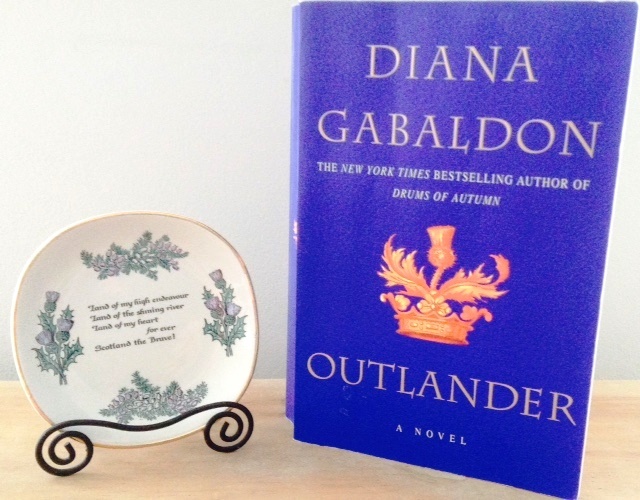 Note: Quotes are taken from books throughout Diana Gabaldon’s Outlander series. If you have not read all of the books and don’t want to risk spoilers—dinna say I didna warn ye. Yeah…I’m going to need a few minutes to digest all of that. Thank you, Jamie Fraser, for being everything you are. Thank you, Diana Gabaldon, for giving us our Jamie, for putting these words in his mouth, and for making us forget that he is fictional. And thank you, Sam Heughan, for bringing Himself to life so perfectly on screen. Happy Tartan Affair Day to those attending! And for everyone else, 3 more days!!!!!!!!!!!!!! Miss any of our Outlander posts? Dinna fash. They’re all right here! Such beautiful words! Love the Scottish Dish in the pic! Have the BEST time at the premiere!!!!!! Great! Thanks for letting me know!! Jamie lovers unite!